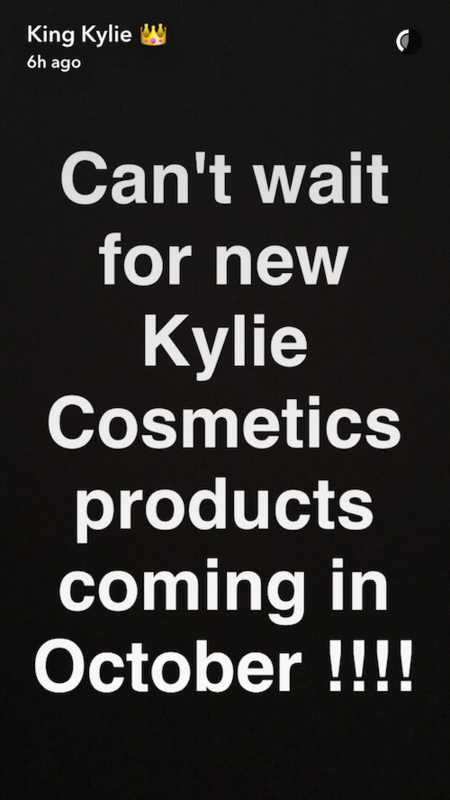 The youngest of the Kardashian klan and cosmetic queen of our hearts, Kylie Jenner, just teased some new products on her Snapchat and the suspense is killing us! 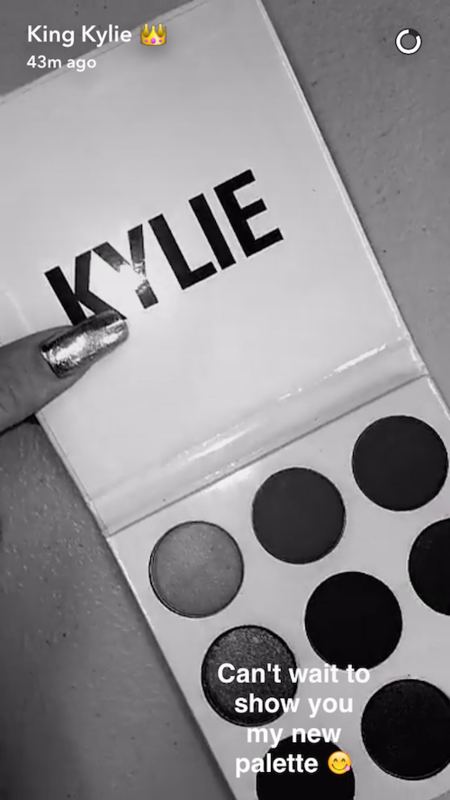 A few weeks ago, Jenner posted previews of her latest Kyshadow palette, and just last week, Jenner teased her latest Kyliner kits, which are now available for purchase on the Kylie Cosmetics website in the smoky purple Chameleon and the classic gold-tinted Bronze shades. 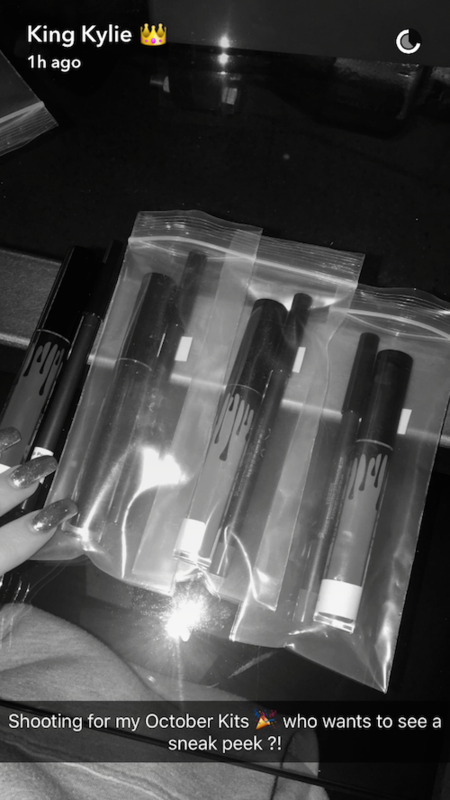 So, what exactly is Jenner cooking up for her October products? Could they perhaps be something inspired by pumpkin-flavored fall vibes? Or the gothic and ghostly themes of Halloween?! 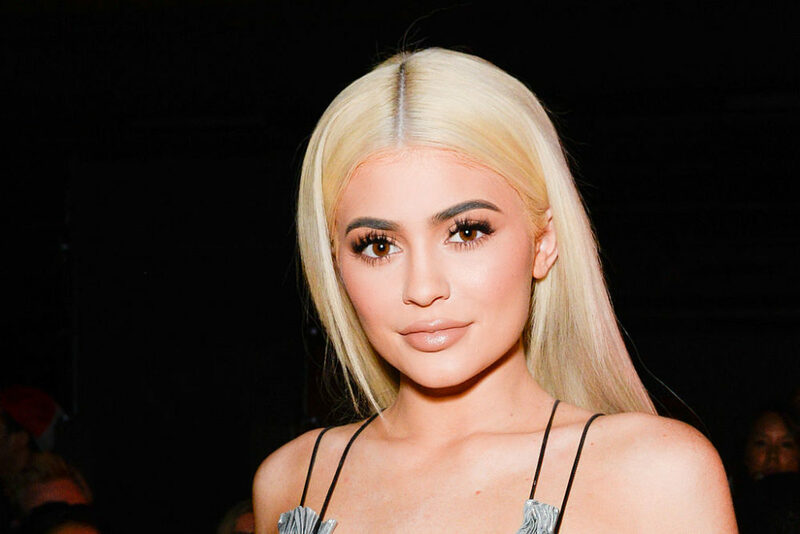 If we’ve learned anything from past releases from Kylie Cosmetics, it’s that you’ve gotta keep your eyes peeled and have a game plan, because her products sell out fast! Is this new release going to be a new Kyshadow kit featuring deep shades of pumpkin orange, sparkling cinnamon browns, and shimmery cider-inspired shades?! Or will this be an early Christmas-inspired set featuring peppermint greens, snowy whites, and fierce reds?! BRB, praying to all the higher powers that Jenner’s new lip-kit includes Halloween-themed dark lip looks in shades of black, purple and blues. If not, I’ll happily settle for a sweeter color-scheme as an early Christmas present.